Born and raised in Taiwan, Liang-Pin Tsao is an artist based in Taipei, Taiwan. He holds an MFA degree from Pratt Institute, and his works have been exhibited internationally. Liang is the recipient of New York Residency Program sponsored by the Ministry of Culture Taiwan, Pak-Hing Kan Arts Grant, and scholarship from Pratt Institute among others. His recent works investigate the relational tension between people and environment, exploring its socio-cultural significance. In addition, Liang devotes himself to photographic eduction and curatorial affairs, and has been invited by Taipei Fine Art Museum, Museum of Contemporary Art Taipei, Taipei Artist Village, etc. He has initiated a symposium project, PHOTO TALKS, since 2015 to help promote contemporary photography in Taiwan. In 2016, he establishes Lightbox Photo Library with an aim to collect and organize publications on Taiwananese Photography, which is free and open to all. Lastly, my colleagues Yun-Jen and Lan-Yi ask me to write a few words from heart. Here they are: I am feeling revitalizing and hopeful working with young people. I am grateful to them for their hard work and unflagging support despite their modest salary. They lead me to believe that together we can do well by doing good. Yun-Jen Cheng graduated from the Graduate Institute of Library and Information Science at National Taiwan University (NTU). In addition to his roles as Reference Librarian at the NTU Library and construction personnel of the Institutional Repository, he served as the general affairs chief of the NTU Photo Club, and taught workshops and courses on darkrooms for the NTU Photography Camp. He specializes in social network analysis, and is interested in discussing, reading, and writing about photography and film. His responsibilities at Lightbox include the cataloguing, organization, promotion and development of the library’s archives; compiling and collecting a list of books on Taiwanese photography, and website construction and management. He was drawn to the Lightbox pioneering concept of consolidating the photographic arts in a library, and joined the team with hopes that in the process of making books on photography available to members of the public, that he may find time to sneak a peek into more books himself. Never one to sit still, Lan-Yi Wei enjoys photography, enjoys running amok, enjoys making new friends, and enjoys organizing events. 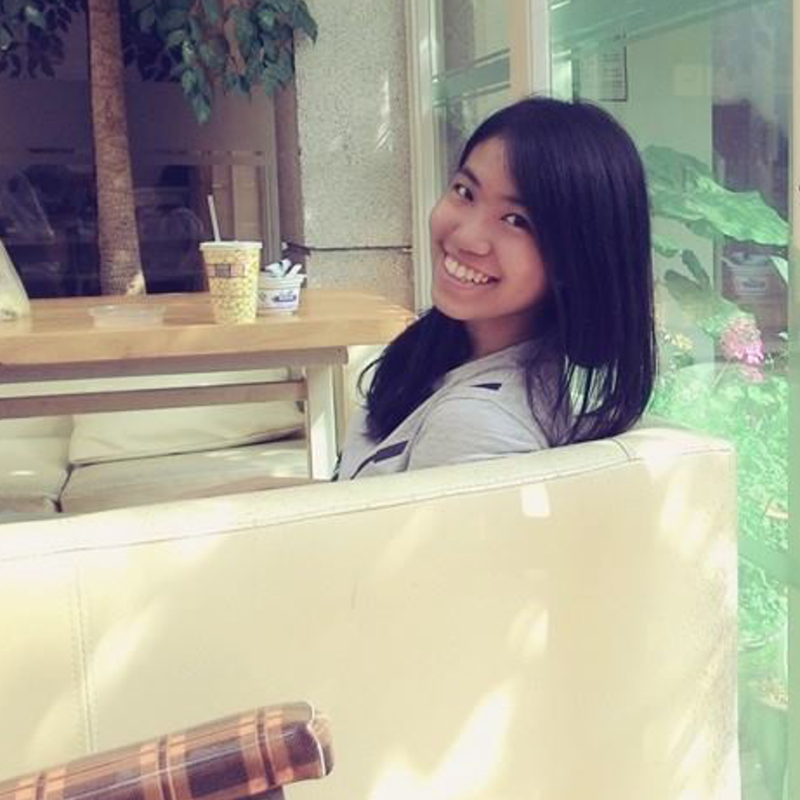 She feels fortunate to be able to join the Lightbox team and hopes to make new friends here. She also hopes that his efforts will catalyze the occurrence of interesting events, and that she will grow as Lightbox grows. P.S. A graduate of the Department of Sociology at National Taiwan University, she has served as the Activities Chair for the NTU Photo Club, NTU Photography Camp Activities Coordinator, and project planner at Zoeii Cultural and Creative. Her role at Lightbox is Event Planning and Project Management. A graduate of the National Taiwan University Department of Anthropology, Emily Shin-Jie Lee currently lives in Taipei where she works in Arts Management. She has been actively involved in arts related activities since university, serving as Academic Officer for the National Taiwan University Photographic Society; as curator in the execution of the NTU Art Festival exhibition and at Art Taipei; and as research intern at the Kaohsiung Museum of Fine Arts. After graduation, her work has taken her to Southeast Asia where she lived for two years. The interrelationships in the historical arts and cultural development within that region, as well as between Taiwan and other Asian countries became a main area of her research. She has recently devoted herself fulltime to professional arts management with a focus on contemporary image and visual arts and culture, and on the modes of production and management for various arts organizations, institutions, and spaces. She periodically conducts interviews for and contributes articles to magazines and media in China, Hong Kong and Taiwan. She has served as a translator and interpreter for the Taiwan International Documentary Festival, and is involved in activity-planning for PHOTO TALKS and at the Lightbox Photo Library while she continues to apply anthropological techniques as a participant observer in the contemporary image and visual arts scene. 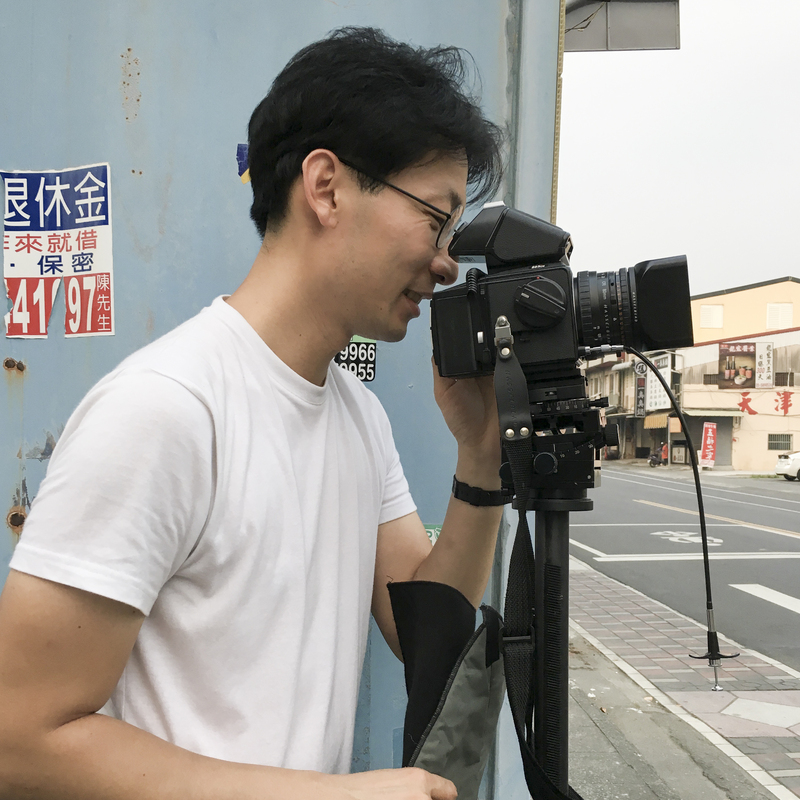 Art critic and image researcher Bo-Yi Shen is mainly focused on Taiwan’s contemporary art and photography culture in an attempt to explore the relationship of tension between contemporary art and photography. He is responsible for the documentation and review of various photography lectures at Lightbox, and has been a regular columnist in ArtCo magazine since February 2017. His critical essays have been published in Artist magazine, and in the internet media The Reporter. He also maintains a personal opinion blog entitled Implication. Currently a doctoral candidate at the Arts Institute of Nihon University, Peng-Hui Hou is the recipient of the Japan-Taiwan Exchange Association Scholarship as well as the Nihon University Centenary prize. His work has been lauded by the Sawamoto Noriyoshi Award, and has been collected by the Taiwan Art Bank. He was selected as a participating panelist on the “Taiwan-Japan Young Image Artists Exchange”, and lectured in photography at the Culture City of East Asia 2016 Nara. He currently lives in Tokyo where he is researching the exhibition culture of Japanese photography and its influences, as well as assisting Lightbox in establishing exchanges with Japanese photography organizations. Born in Kaohsiung, Sheng-Wen Lo graduated from the National Taiwan University Institute of Electrical Engineering with computerized music as his field of research. He is currently working toward a master’s degree in photography from the AKV|St.Joost in the Netherlands, focusing on the relationship between contemporary humans and animals through creativity. He is adept at photography, videography, and experimental mixed media, and is an advocate for works of art that have scientific value. His recent works have been exhibited at the EYE Filmmuseum in Amsterdam, the International Center of Photography (ICP) in New York, FORMAT International Photography Festival in the UK, the Organ Vida International photography festival in Croatia, and at the Lianzhou Foto festival in China. Through firsthand experience and observations, he is knowledgeable on ways of engaging in education in the photographic art, holding workshops, and organizing photography festivals. He is also a representative for Lightbox in exchanges with European photography organizations and building collaborative relationships. Lightbox is in the process of consolidating the achievements and energy of Taiwan’s photographic art. Sheng-Wen Lo has enjoyed the collaborative opportunities to contemplate, research, and open up new possibilities. 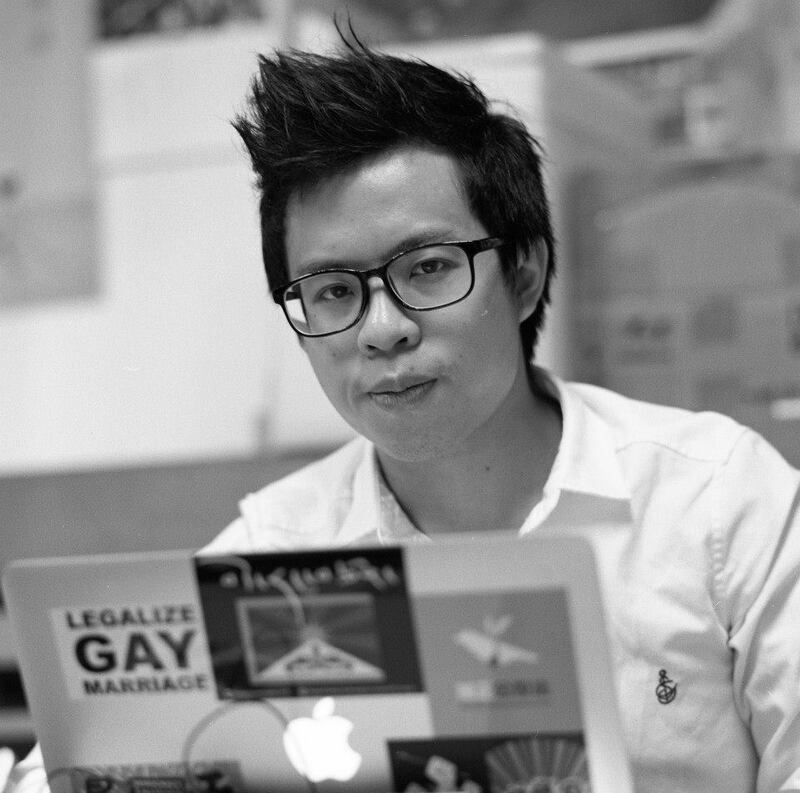 During his studies in the Netherlands, he hopes to share more of Taiwan’s photographic works with the local audience; and will take the opportunity to absorb organizational experiences in photography related education and activities from various European countries that he hopes to share and implement in Taiwan. A graduate of the National Chengchi University Department of Advertising, Pei-Ling Ho pursued her graduate degree at the School of Visual Arts in New York. Currently working in fine art and graphic art, she has a wealth of arts experience working with organizations including the Museum of Contemporary Art Taipei, the Taiwan Art Gallery Association, Editions du Flaneur intern, and as sale executive for blancor Film Studio. Some of her work focuses on the unique characteristics and consciousness of human beings, and in creating works that help others “share in emotions and pain” in order to make an emotional connection through media including photography, videography, and collage. Her work was awarded the Jury Prize at the Wonder Foto Day exhibition, and was shortlisted at BYOB Taipei, and the 29th Festival Les Instants Vidéo. A graduate of the Department of Foreign Languages and Literatures at the National Taiwan University, Chia-Lin Lee engages in exchanges with photography organizations in China and establishes relationships for collaboration on behalf of Lightbox. Chia-Lin Lee is grateful for an organization like Lightbox that revolves around photography and engages the public, and provides opportunity for those interested in photography to cross paths. Lee is thankful for the nurturing that Lightbox has provided, and looks forward continuing collaboration. As a fourth year student at the Shih Hsin University Department of Journalism, I am currently in the awkward condition of simultaneously feeling dissatisfied with the present and uncertain about the future; and hence, I am working hard to confront and practice anything of interest. Although often oscillating between states of progression and retreat, I have never wavered in my interest in photography. I encountered Lightbox about a year ago, while striving to accumulate photographic experience while thirsting for deeper and broader knowledge as the head of the photography department at News People News. Since then, I have regarded it as my own secret base, sometimes to quietly read, sometimes to listen to other people sharing their experiences. After some opportunities to converse with Liang-Pin, Lan-Yi, Liang-Pin, and everyone, I felt that the Lightbox concept was one of heated passion! And so, this opportunity to intern at Lightbox and to become part of the team here not only fills me with gratitude, but also with a hope that my efforts and dedication to learning can contribute to this excellent photography space and share in the learning.